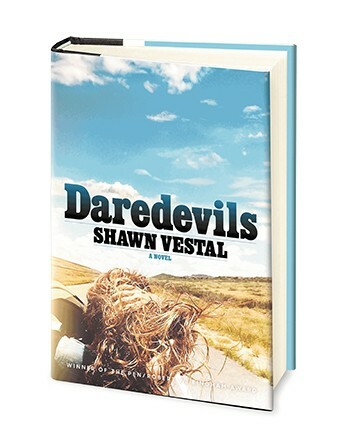 Shawn Vestal's debut novel is Daredevils. Like a lot of other kids in 1973, Shawn Vestal got an Evel Knievel Stunt Cycle for Christmas. He'd attach the 6-inch figure of the bawdy Montanan atop a plastic version of his Harley-Davidson to its "energizer," turn the crank until it produced an apocalyptically loud whirl and then send the little guy ripping. The television ads claimed it could jump 100 feet. An 8-year-old Vestal tested those claims. Nine months later, Evel Knievel — the real, non-plastic one — decided to jump Idaho's Snake River Canyon in a rocket. Vestal had to be there to see this feat of American heroism, and it was taking place only an hour or so away from his home. But Sept. 8, 1974, happened to be a Sunday and Vestal's family, like most Mormon families, didn't do anything on Sundays, let alone gather with the sort of rowdy longhairs and bikers who would willingly head to the desert to see a man potentially kill himself. So Vestal missed seeing one of the more spectacular failures in Knievel's career, and the kid couldn't shake the disappointment. "I've sort of jokingly said that was the beginning of the end. In some way that's a joke, but that desire to be out in the worldly world and see something dirty and scary was what I always wanted," says Vestal, who's now 50. Evel Knievel is integral to Vestal's debut novel, Daredevils, which is set in the mid-'70s and features a teenager named Jason from Gooding who's obsessed with Knievel (and actually does make it to the canyon for the jump) and aches to get out of small-town Idaho and away from his Mormon roots. That kid is juxtaposed with Loretta, a teenage girl who's been married off as the second wife to Jason's estranged polygamist uncle. "Freedom is appealing, but it's frightening when you're young," says Vestal of Loretta, who adds a feminist spirit to Daredevils. She also was a vehicle for Vestal to explore religion. "Her whole life is prescribed by men, even the well-meaning men in her life," says Vestal, who adds that writing the book saw him reevaluate what it means for men to support feminist causes. "I feel like America is all wrapped up in him — all the paradoxes and contradictions. In America, we have great belief in faith in our goodness and our exceptionalism, even if we have evidence that there are things in our history that maybe aren't so great." Daredevils, which has already received positive reviews from the BBC and Apple Books, is hardly autobiographical, but the desire that Loretta and Jason share to escape was very real in Vestal's youth. He wasn't stepping out on his Mormon upbringing quite yet in the years after missing the Snake River Canyon jump, but by his junior year of high school, Vestal took up drinking as much as a symbol of his break from the Mormon church as for recreation. "For me, it was this signifier that I was not that. A lot of kids are like, 'Hey, look at me drinking beer,' but I was especially that. It was a way of separating myself from the church. As a result, I drank more than a smart person would drink for a number of years," says Vestal. The break from the church was hard on his mom, Vestal says, but he remains close with her, as well as his siblings, one of whom is a bishop at a Mormon church. He then headed to the University of Idaho, studying to become an English teacher, but dropped out to work at small newspapers in southern Idaho, which led to gradually bigger writing and editing gigs throughout the West, including stints in Montana and Oregon and at the Coeur d'Alene Press, where he met his wife, Amy. He eventually landed at the Spokesman-Review, where he ran multiple editing roles and now serves as a columnist. When he was away from the newsroom, he was writing fiction. 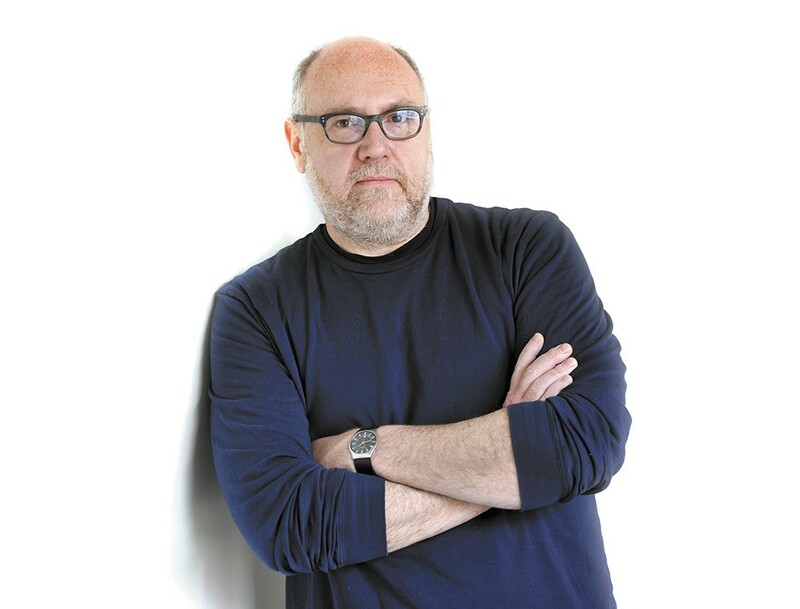 "A lot of writers have that self-mythologizing story about how hard they worked. For 20 years, to various degrees, I have been sending stories and getting them back and just having no luck," Vestal says. He was already in his 40s when he finished his long-abandoned bachelor's degree, then enrolled in Eastern Washington University's Inland Northwest Center for Writers master's program, while still working at the Spokesman. "He was probably 10 years older than the average student. What was one of the many awesome things about him was that he was open for business and ready to develop and grow as a writer," says Samuel Ligon, a professor in the program who has since become close with Vestal and read earlier drafts of Daredevils. Vestal's debut short-story collection, Godforsaken Idaho, as the title implies, also mined his roots. The book was not only showered with praise, it earned Vestal the PEN/Robert W. Bingham Prize, a $25,000 award bestowed upon a debut author. "The fact that [the book] even existed as an object was enough for me," he says, reflecting on his trip to New York as a finalist for the prize. "It was great, but I was sure I wasn't going to win, and I don't mean that out of a sense of false modesty. I started reading the judges' citation, and it became apparent about halfway in that this is my book. I better figure out what I'm going to say ... It's a great sense of validation to know that the work is taken seriously and respected." It was a long trip for Vestal from the desert of southern Idaho and the church to newspapers, then sudden literary stardom. It's not lost on him that he had to go back, at least in his writing, to Idaho to break through as a novelist. "I think I had the idea that my own life wasn't interesting, or that there was something cheap or short-cutty about drawing from my own life," he says. These days, Vestal and his wife have an 8-year-old boy of their own. Maybe some day that boy will want to see whatever equivalent of Evil Knievel the 21st century has to offer. Maybe he'll write about that, too. On the Tuesday of Get Lit!, two Spokane authors whose work has been intertwined for years will share a stage to read from their respective books. 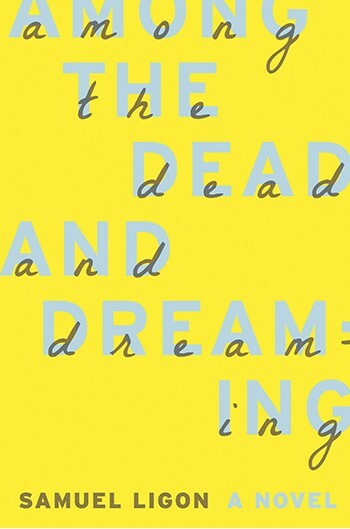 Shawn Vestal is reading from Daredevils while Samuel Ligon offers a taste of the two books he recently dropped — the novel Among the Dead and Dreaming and the short-story collection Wonderland. Spokane literary heavyweight Jess Walter will moderate the night, which includes drinks and book signings. Ligon's novel is years in the making, he says, and features characters he first developed in his short-story writing. One of those characters is Nikki, a woman who killed her violent boyfriend and is now trying to escape the boyfriend's just-out-of-prison brother.